“Come quick, Jack White’s playing in the quad!” said no high school student ever – until yesterday. 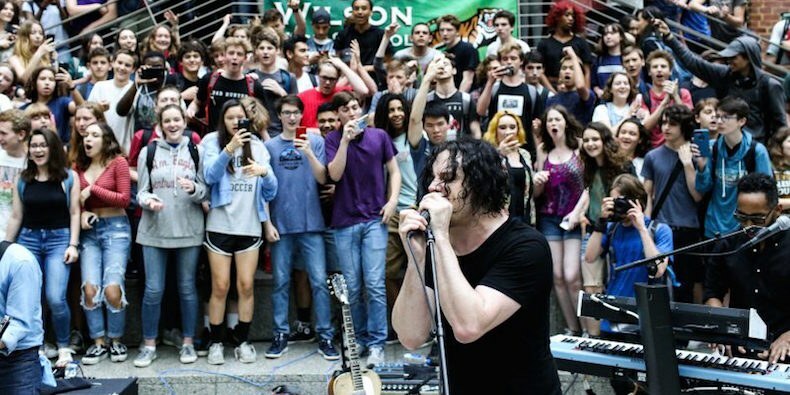 In a surprise appearance at Woodrow Wilson High School in Washington D.C. on Wednesday, Jack White played a blistering lunchtime set for students in honor of the last day of classes. White, who was in town touring for his new album Boarding House Reach, approached the principal of the school about playing the show, according to The Washington Post. But compared to any sold out stadium show, or headlining festival appearance, there’s nothing quite like surprising a rowdy bunch of thrashing, hormone-raging teenagers.